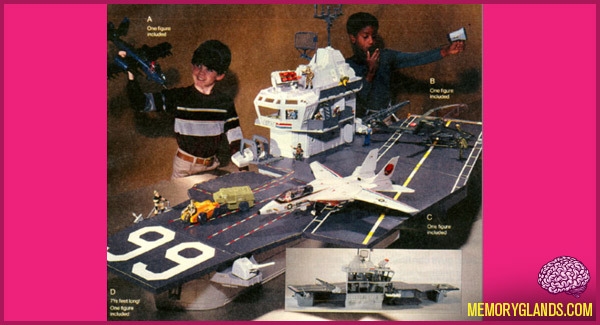 The USS Flagg is a fictional U.S. Navy Nimitz-class aircraft carrier from the toy line, comic and cartoon series, G.I. Joe: A Real American Hero. It is the G.I. Joe Team’s primary sea going vessel. It is named for the team’s original commanding officer General Flagg (who was slain in combat against Cobra).